Will you be visiting Langebaan soon? Are you looking for a place to stay? 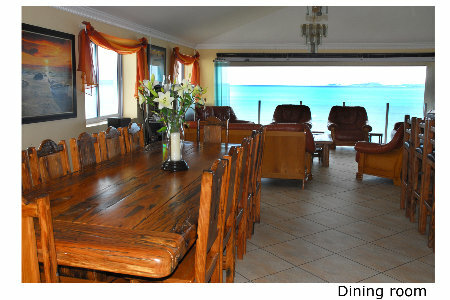 Langebaan offers various types of Accommodation for the visitor. From camping sites to luxorious sea side accommodation. The house is situated in one of Langebaan's new upmarket private beach front estates, Calypso Beach. The house has three levels. On the lower level is the garage and the 2 bedroom fully equipped flat. On the second level are 5 bedrooms (all en-suite), a TV room and balcony. On the third level is the bar, dinning room, lounge with big screen TV, main bedroom, kitchen and laundry. West Coast Villas is a portfolio of exclusive coastal properties in Langebaan, offering guests superior locations, views and comfort. All villas in the portfolio have been meticulously selected to ensure that guests stay in pure comfort, and at the same time experience the uniqueness and beauty that the Cape West Coast has to offer.